Essays from Akiko Hirano who studied in the U.S. at age 45. 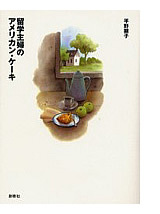 Reproduced and translated with additions from the 2000 Sojusha Publishers' publication (sold out). The dream of exchange to the U.S.
An 8 million yen investment in me! After spending a year and a half taking some mandatory classes in addition to ESL classes, I finally started taking full time classes based on a regular curriculum. I didn’t think my English was good enough so I spent more time on taking ESL classes than I should have. Even after that, I was still worried if I could graduate a university with my English. No matter how much I studied, I felt like my English was not improving enough. However there was no point worrying about my English after coming this far. All I had to do was just keep going since I didn’t have much time and financial support left at that moment. First of all, I had to make a decision on what to take for my major. I went to talk to a school counsellor and she recommended me to take a major related to life-long learning subjects. I assumed this was probably because of my age. Among those subjects, I decided to take fine art for my major. I once worked as a designer of traditional Japanese costume for noh plays (traditional masked dance-drama) at my parent’s business in Kyoto. At that time I was dedicated myself to the design work so much so that I didn’t have to think of my relationship with my husband. I was also trying not to think about my feeling by keeping myself busy. It was important to figure out how many credits I could transfer from the college I graduated in Japan to the university major I was going to take. Also I had to calculate how many credits of the extra classes I took beforehand could be added up to complete the required curriculum for my graduation. After careful consideration, I realized that there were still some required courses that I had to take in order to graduate with a fine art degree. It was simple that I just had to take those classes but I was kind of disappointed that it would take longer to graduate than I was planning in my head. I wasn’t quite happy with the plan so I went to the other university in the same state called Eastern Connecticut University to talk about my issue with credits. It turned out that this university can calculate the credits I took differently and I would be able to get my degree in approximately a year and a half more. So I took my courage to move to this university. I chose fine art for my major and philosophy for my minor. In order to complete them, there were still some mandatory classes I had to take and they were mainly math related classes. This gave me a big shock. “Do I really have to study Math in my age? Besides, is it possible to study math in English?” I was so devastated this. The credits I had to take were 6 credits of Math. Therefore I chose to take a basic math and a math class for people who want to be primary school teachers. In addition to the math classes I also had to take Squash as a P.E class but this was a piece of cake since I knew how to play tennis. I was successfully able to get an A on this. Also I tried to choose as easy classes as possible so I took Environmental studies, modern dance history, feminist artists and practical painting. Compare to the time when I was mainly learning English at ESL classes or taking English literature, there were many varieties of subjects so that I had to switch my thoughts depending on the subject. This was especially necessary with Math classes. I couldn’t study Math at all when I was sleepy. I had to try studying at different environment so I often tried to study at the library and bench. As you can see I was too overwhelmed by the new classes so I had no time to prepare or review for my classwork. Math itself wasn’t too difficult but comprehending and trying to explain in English were quite challenging to me. I had no choice but to ask for help from my son so I called him on the phone. My son answered and said with a cold voice “I don’t think you can understand my high-level explanation so you might as well ask your teacher”. I thought he was quite cold but there was not much he could do because he lives overseas after all. I ended up asking a Japanese student in the campus and I managed to get through the tough time. Computer class was more difficult than math. I literally struggled in this class. I didn’t understand how computers work even in Japanese. How could I possibly understand it when I had to learn the theories of computer in English. I didn’t get a word of what my teacher was saying in the class. When the teacher was talking in the class, I was just there to be in the class. I felt like I understood for the first time how boring and tough it would be for the kids who cannot catch up with their classes in school. After all I had to pass this class in order to graduate. If I couldn’t graduate this university, all my efforts I had made so far would be in vain. I didn’t know what to do so I decided to go ask the teacher of my computer class. I insisted that “I wasn’t born for the computer generation and I am not following your class at all. I need to pass this class otherwise neither I can graduate or go back to my country. What should I do?” My claim sounded like a big excuse and it almost seemed like I used my tears to appeal him. However there was nothing else I could do at that time. To my surprise, the teacher said to me that I should attend the class anyway. I interpreted his advice that attendance was very important so I didn’t miss his class at all. Typically, grades are made out of three factors; mid-term exam, final-exam and attendance. Therefore I could get 33 points out of 100 by attending all the classes. This was not the best way but all I had to get was C in order to pass this class so I could manage to break through my biggest problem. In the computer class, we had a quiz every week. It was something like this: Company A’s performance was not doing well so they merged with company B. Show and prove in a graph how company A got improved their performance by the merging. The question per se was difficult enough for me and in addition to that, I had to make a graph with the computer so it was a really tough class. I learned all the basic computer skills but everything went out of my head quickly. My brain was already too full by learning a foreign language. My brain capacity has limited space so I have to kick some old information out to learn something new. If I took out the old information then I would end up being in more trouble so I had no choice but rejecting new information. If I were a kid, I could probably learn new things one after another so easily. However I just felt like 150 millions of my brain cells were dying and my brain was weakening every day. Unlike the time when I was taking ESL classes, I really couldn’t afford to prepare for each class I was taking. Since I couldn’t catch up with any classes, I had to review and study for all the classes at home. I was getting much used to hearing English too but sadly English words didn’t stay in my head. This was almost like moving three steps forward and two steps back. It could be my age. I had a hard time especially at my English writing class. I was supposed to give quick responses to my teacher’s questions by using the computer but the next question would come while I was still answering previous question. I had to ask my classmate to repeat teacher’s questions and I could barely catch up with the class. Seemed like this classmate I was counting on was also not good at computers but I found out that he was apparently a popular NCAA basketball player. Maybe I should have asked for an autograph for myself. Copyright (C) MATSUNOSUKE. All rights reserved since 2004.